From 1917 right up until his untimely death in 1974, Vittorio De Sica worked non-stop to become one of the most prolific filmmakers of our time. 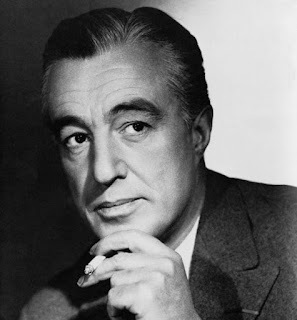 With nearly 200 films to his credit, including beloved classics like, The Bicycle Thieves and Two Women, Vittorio De Sica created timeless portraits of characters struggling to survive in the darkest of days. Like the common theme in many of his films, De Sica grew up with the bare minimum. Born into poverty in 1901 in the town of Sora, a picturesque village situated along the banks of the Liri river near the Simbruini Mountains in Lazio, De Sica lived in a town stricken with hardship. Perhaps that is why he was a leading force in the Neorealism movement; a film movement which was born out of the necessity to make films with very little resources in the wake of World War II. In his films, De Sica’s characters search for hope and beauty among desolation. 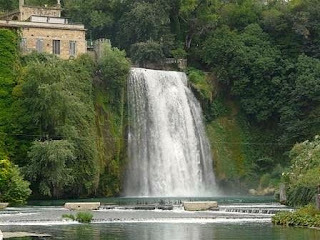 Perhaps he drew from his own experience growing up in such a beautiful place, which includes Sora’s neighboring commune, Isola del Liri, a charming island, which houses two famous waterfalls; visual muses for artists throughout time. De Sica grew up with nothing among this beautiful landscape in which he prospered as an artist, and adapted that experience and message for his neorealist films. De Sica began his film career in 1917 with a part in Alfredo De Antoni’s silent adventure film, “Il processo Clémenceau” (The Clemenceau Affair). Shortly thereafter, he began a successful stint in theater, in which his dashing looks made him a local stage idol. De Sica enjoyed both stage and screen, appearing in both art forms throughout the 1920’s. The next decade would go on to really launch his career. In 1932, he made his “talkie” film debut in “La Vecchia Signora” and at the same time, he and his first wife, Giuditta Rissone founded their own theater company along with fellow actor and playwright, Sergio Tofano. The company prospered, specializing in comedies, but also featured the work of big-name directors like Luchino Visconti. Meanwhile, his film career was flourishing and he was making a name for himself as a respected comedy actor. De Sica is responsible for making Italian Cinema a front runner at the Academy Awards. During his golden years, six of De Sica’s films were praised by the Academy of Motion Picture Arts and Sciences. The first of those was his 1946 neorealist film, Sciuscià (Shoeshine) in which he stepped behind the camera to direct. The film played a pivotal role in the international acclaim that Italian cinema would go to achieve. Sciuscià (see video clip) is the story of two friends, Giuseppe and Pasquale who test-ride horses and dream of owning one themselves. They work on the streets of Rome as shoeshine boys in the depressed economy of Post-War Italy. The boys become the scapegoats of a complex theft and their lives are destroyed. The story is a heartbreaking testament to the financial distress Italians faced in the wake of World War II. The film received an Honorary Award at the Oscars and was the inspiration behind the category of the award for Best Foreign Film as it was the first foreign film to be acknowledged by the Academy of Motion Picture Arts and Sciences. 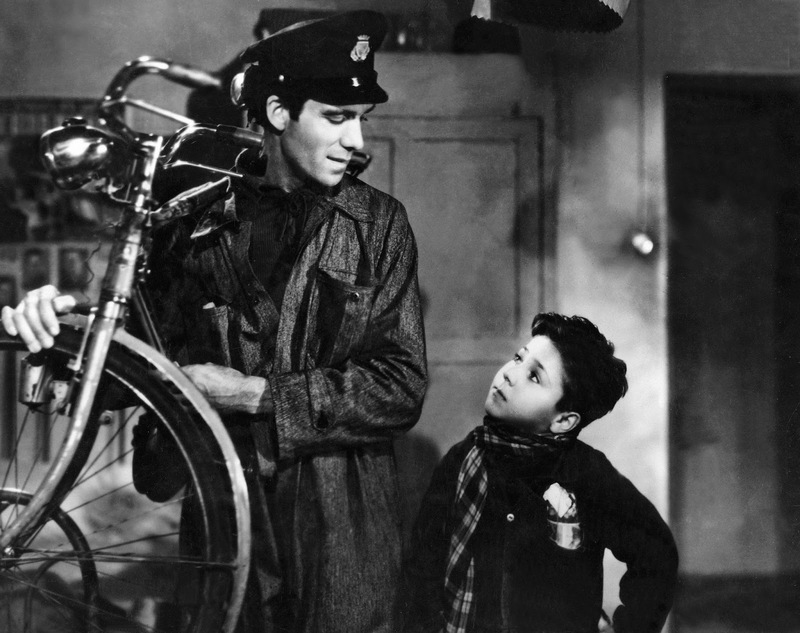 Two years later, De Sica made Ladri di biciclette (The Bicycle Theif). The film is truly one of the masterpieces of Italian cinema, and of cinema as a whole. Ladri di biciclette is the story of a Roman family struggling to survive on the streets of Rome, again in the wake of World War II. Antonio Ricci, played by Lamberto Maggiorani is desperately searching to support his family of four. When he is offered a position posting advertisements around the city, he tells his wife that he has to decline because he needs a bike and obviously cannot afford to buy one. She is so happy that he has finally been offered a job, she pawns all her bed sheets and humble valuables to raise the money for the bike. The two are so ecstatic; they enjoy a beautiful victory ride home, her on the handlebars rejoicing their new life. Then on the first day of work, Antonio’s bike is stolen. What follows is a portrait of desperation and the lengths a father and young son will go to find justice. The film also won an Honorary Award at the Oscar’s and to this day, is considered one of the classic films of all-time. Umberto D, De Sica's 1952 neorealist film and heart wrenching story of an elderly man and his dog struggling to survive on his pension, earned an Oscar nomination for its screenplay by Cesare Zavattini. Sciuscià and Ladri di biciclette were awarded honorary Oscars, while De Sica's 1963, Ieri, oggi, domani and his 1971, Il giardino dei Finzi Contini won the official awards for Best Foreign Language Film. And speaking of Ieri, oggi, domani, which starred Sophia Loren, the two proved to be a match made in Oscar heaven, and made that adorable "striptease" scene infamous (See video clip). Three of their films received nominations or the prized trophy. The other two films were De Sica's 1960 La Ciociara (Two Women) which earned Loren an Oscar for Best Actress, making her the first actor to be awarded the honor for a performance in a foreign film; and De Sica's 1964, Matrimonio all'italiana (Marriage Italian-Style), which earned two nominations for Best Foreign Film and Best Actress. De Sica's personal life didn't go quite as well as his professional life. He was known to be a gambler, many times losing big and in turn taking on less-interesting projects just to ease the financial pressure. He did, however, leave a cinematic heir. In 1951, De Sica’s second wife, Spanish actress Maria Mercader, gave birth to their son, Christian, who would go on to follow in his father’s footsteps. Christian De Sica planted his performing roots in music but fate took over and he has since become a celebrated comic actor and director known for his hilarious sketches of Roman characters and infamous Cinepanettone Christmas comedies. He is absolutely adored by audiences in Italy. He is married to the sister of fellow actor/director, Carlo Verdone.